The state’s hypocrisy is on bright display once again this week following two seemingly unrelated incidents that actually have important factors in common. 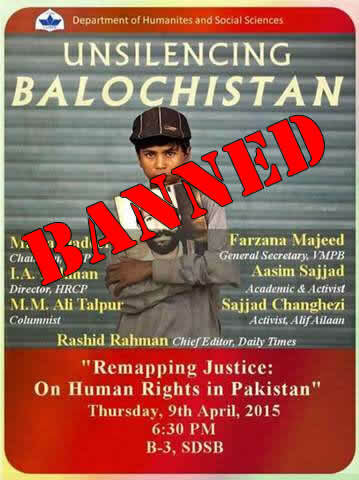 The first is the cancellation of a discussion on Balochistan at LUMS, allegedly under orders of ISI. 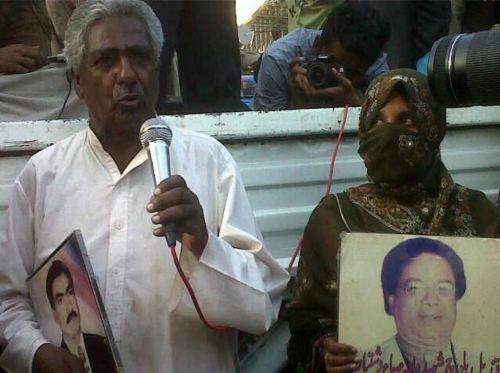 The demand that LUMS cancel the discussion was believed to be based on the inclusion of Mama Qadeer, a Baloch activist and founder of a group working on the issue of missing persons believed to have been abducted or killed by intelligence agencies. Cases of missing persons have been languishing in courts as ISI often refuses to comply with court orders. The complaint about the LUMS lecture is that it was promoting separatists. Leaving aside questions about academic freedom, free speech, and whether or not engaging the separatists and listening to their concerns is a more realistic way of solving the crisis than trying to silence and intimidate them, there is another problem with the decision to ban speeches by separatists: We have a state policy of supporting separatists. It’s not often that an academic discussion becomes national news, but this is the case with a talk on Balochistan planned to take place at LUMS. Actually, the talk would have come and gone with little attention at all except that the organisers were forced to cancel it, allegedly under direct order of ISI. Talking to Pakistan Today, LUMS faculty member Dr Taimur Rehman said, “A delegation from the Inter-Services Intelligence (ISI) visited LUMS in the evening and presented a letter calling for cancellation of the talks. They said that Balochistan is a sensitive issue and that the moot could be used to malign Pakistan,” said Dr Rehman, adding that the intelligence officials were firm in their directive.